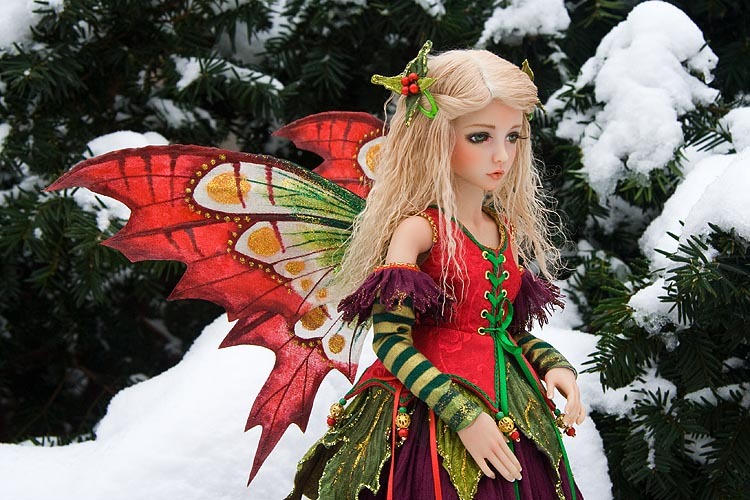 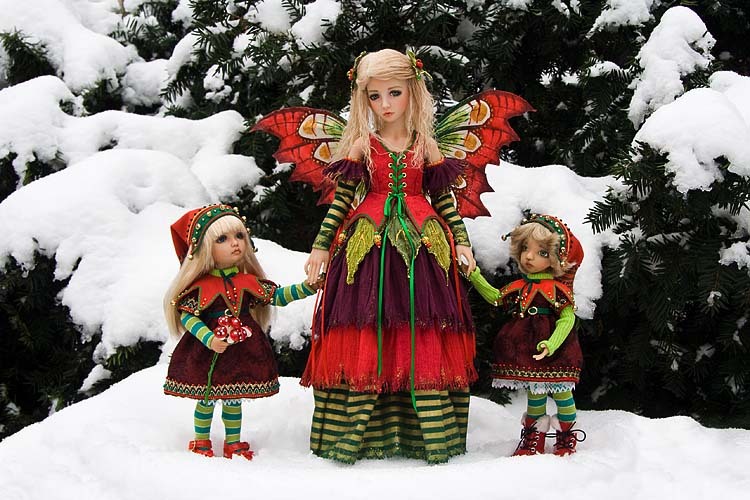 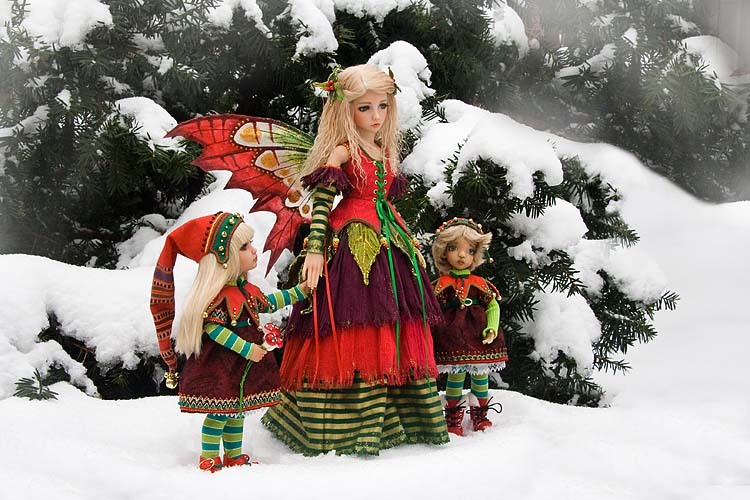 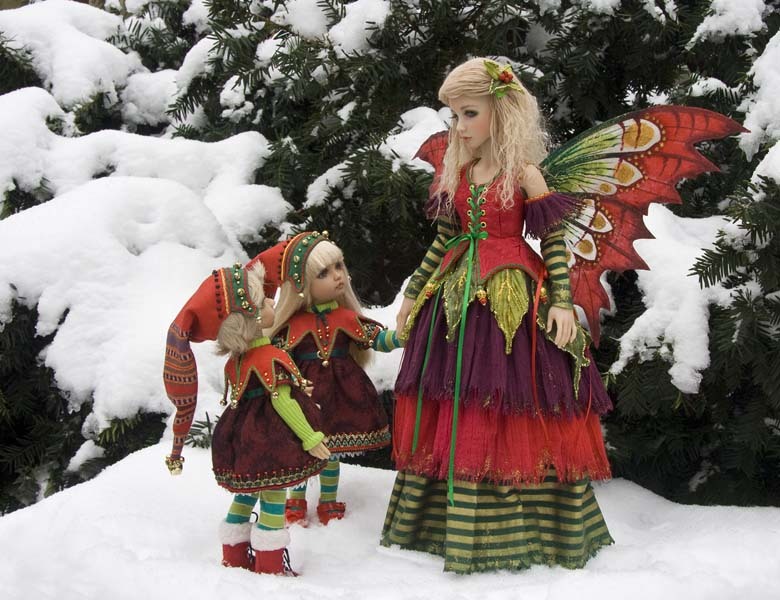 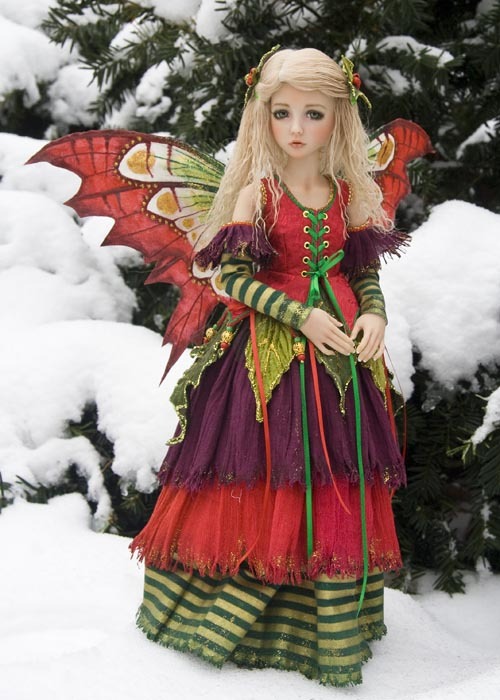 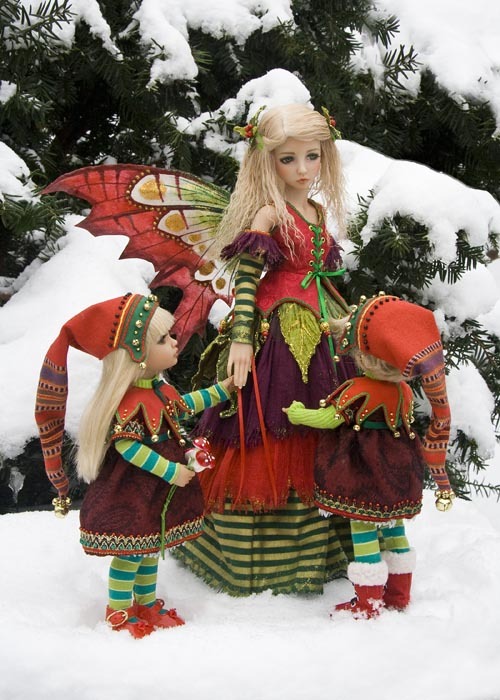 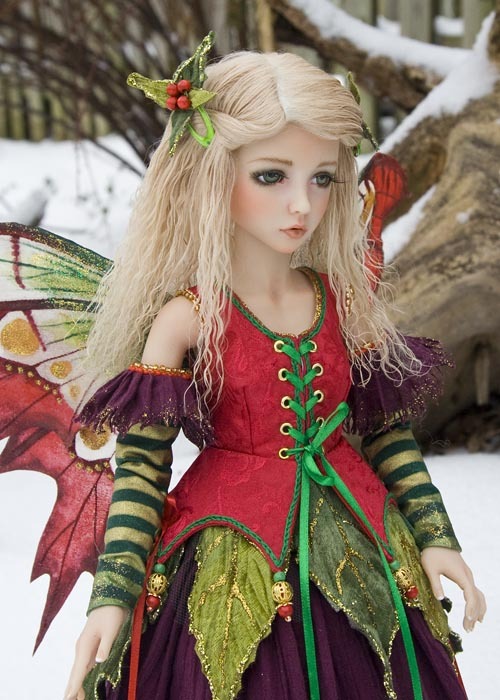 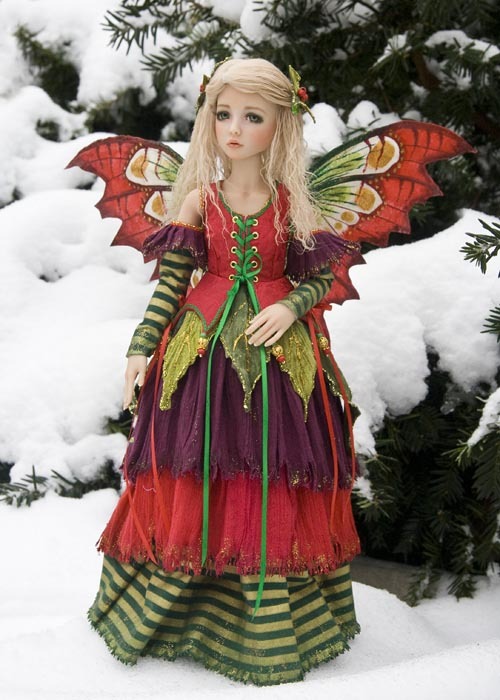 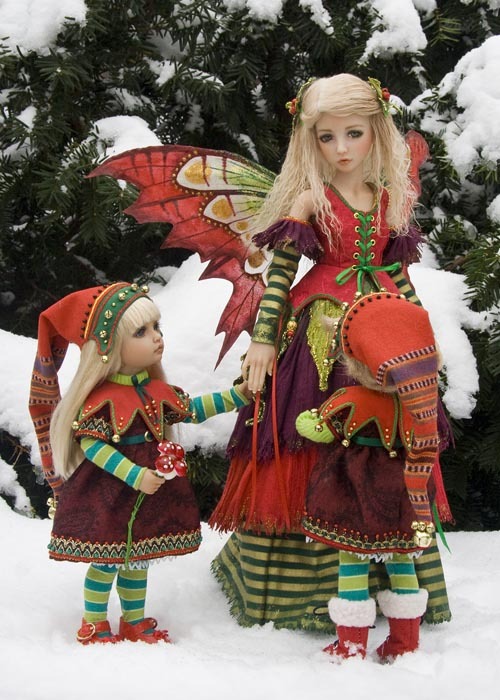 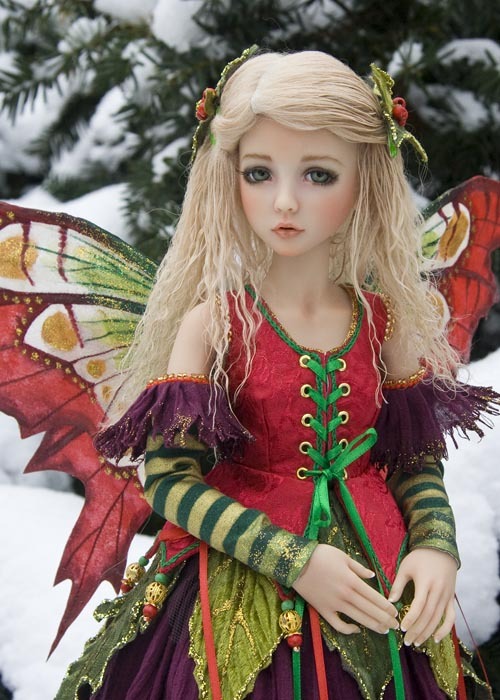 I had just finished a commission for a red and green fairy outfit for Narae, and woke to some fresh snow. 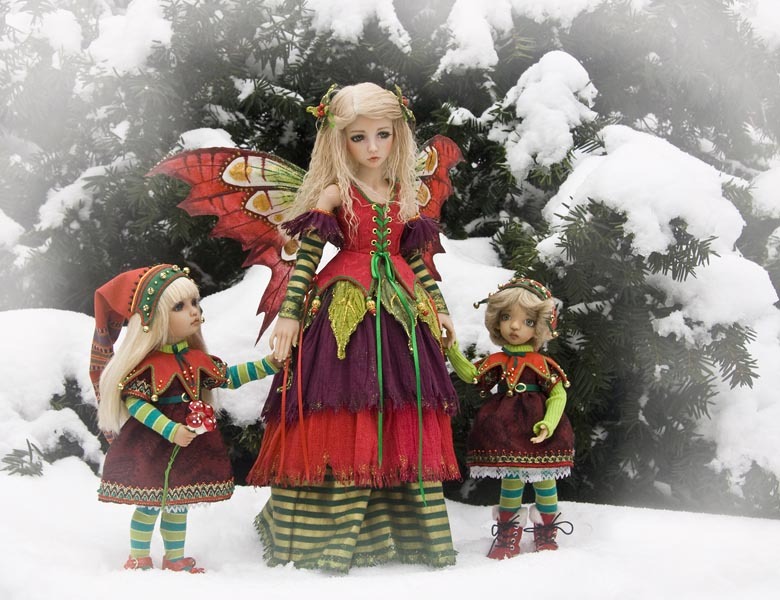 My Aeran (tan Narae) looked amazing outside in the snow, so I decided to take out Cinnamon and Elin, my two little Christmas elves, as well. 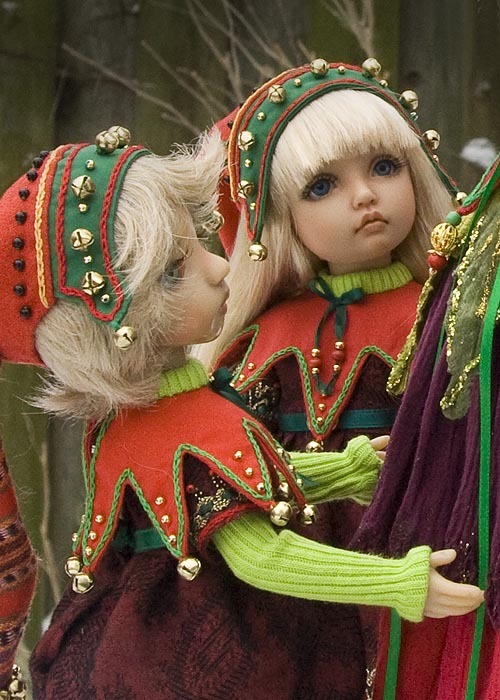 I switched Elin's wig to a blonde one so all three would be blondes wearing reds and greens. 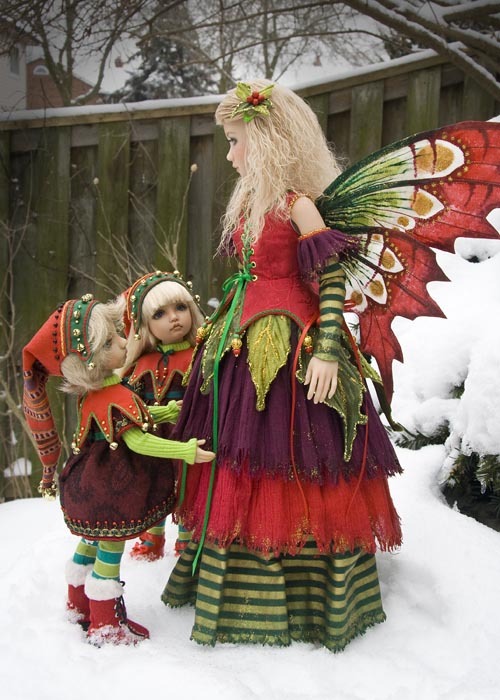 I would have liked to take more photos, but my lens died and the next day the snow was gone.